A long-running series (94 years) published in larger numbers around 1900, the mid-1930s, then the mid-1940s and mid-1950s, with a significant number of titles published in the 1960s and 1970s. Dent published the titles in the series in the UK and Dutton and Farrar, Straus & Cudahy in the US over about the same time period. It seems that Dutton and Farrar were publishing titles from the series at the same time in the late 1950s and 1960s. Oxford University Press purchased the series from Dent (at that point, Orion) in 1994 and continues to issue new titles in the series to date. 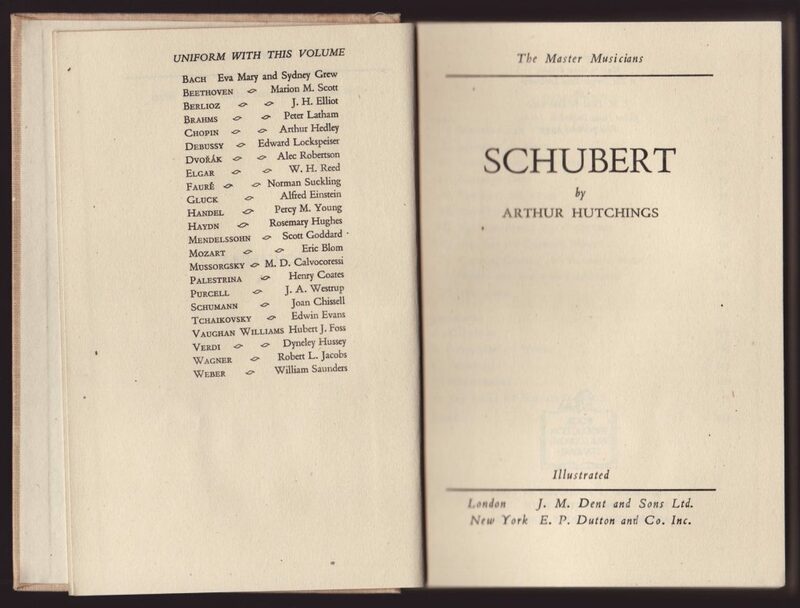 Arthur Hutchings’ Schubert was first published in the “new” series in 1945. 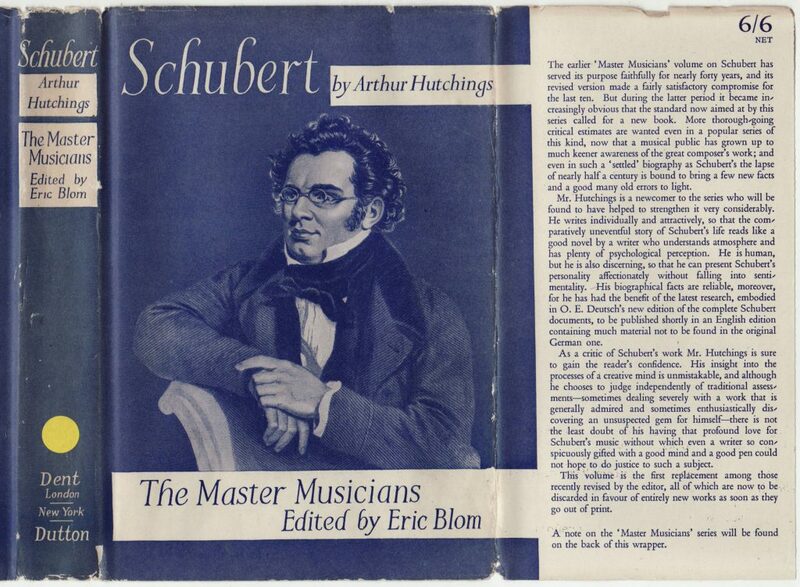 The jackets from the 1930s to the 1950s are unique to each title, as below, with an illustration of the master musician in question. The series name is indicated on the jacket spine and front, as are both Dent and Dutton. 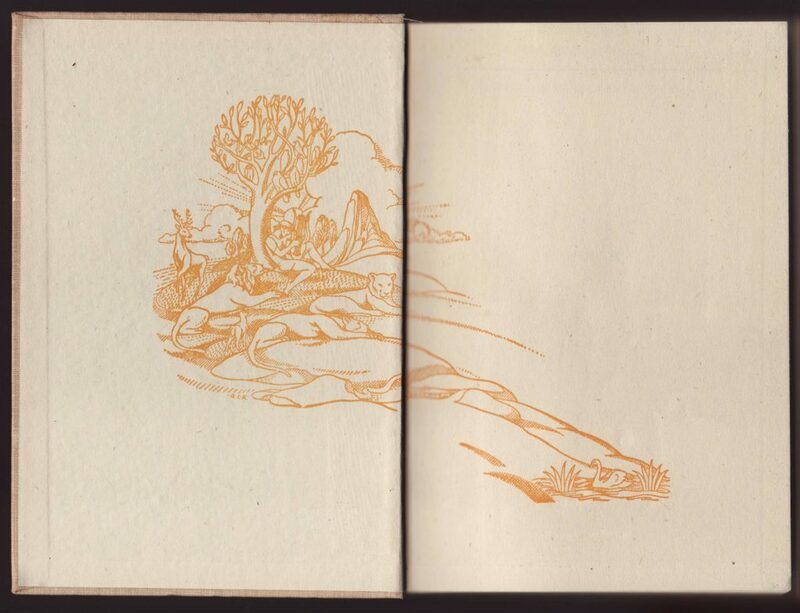 A blurb about the title as well as the price (6/6) covers the front jacket flap. 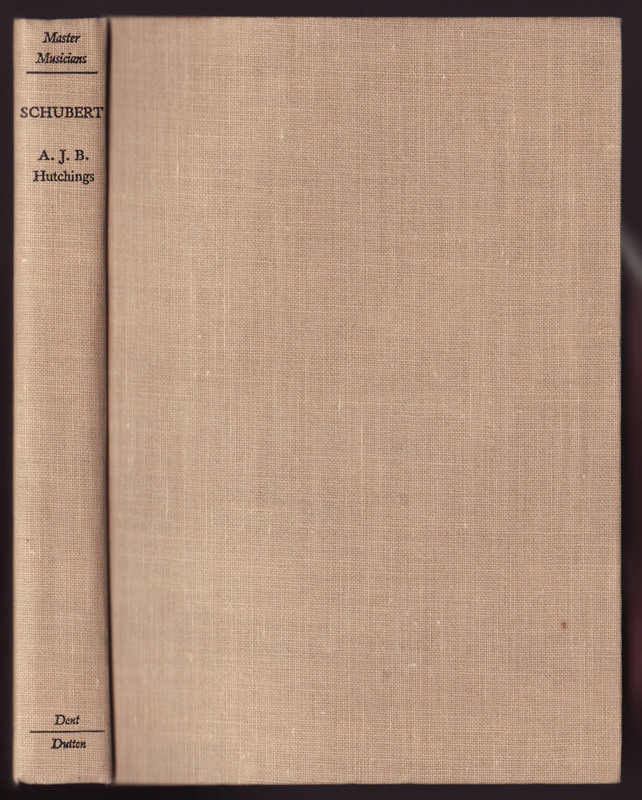 Titles in the series, 21 at the time, as well as a series prospectus is on the back of the jacket. An advertisement for the Voice of Britain is included on the rear jacket flap. Basic tan cloth bindings include the series name on the book spine. 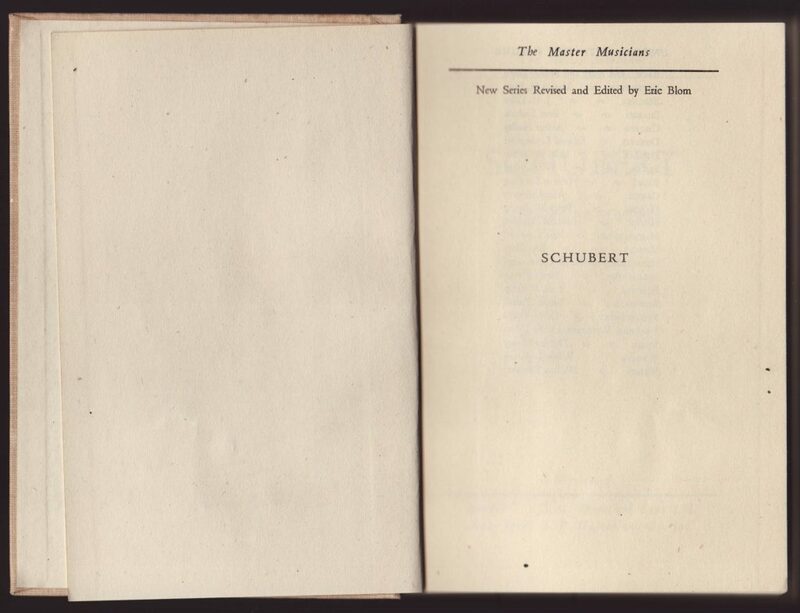 The half-title page includes reference to the series name, an indication that it is the “new series” as well as the editor, Eric Blom. 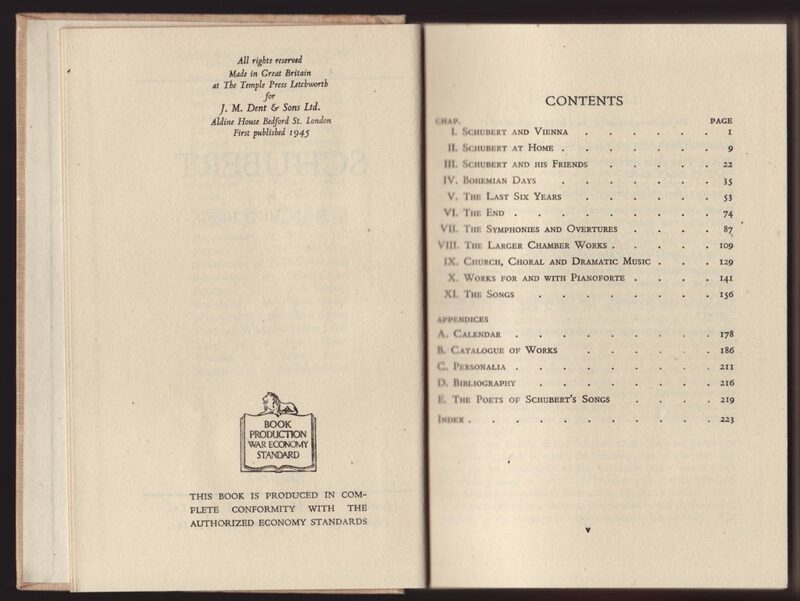 23 titles are listed facing the title page. The title page includes the series name and both Dent and Dutton imprint. 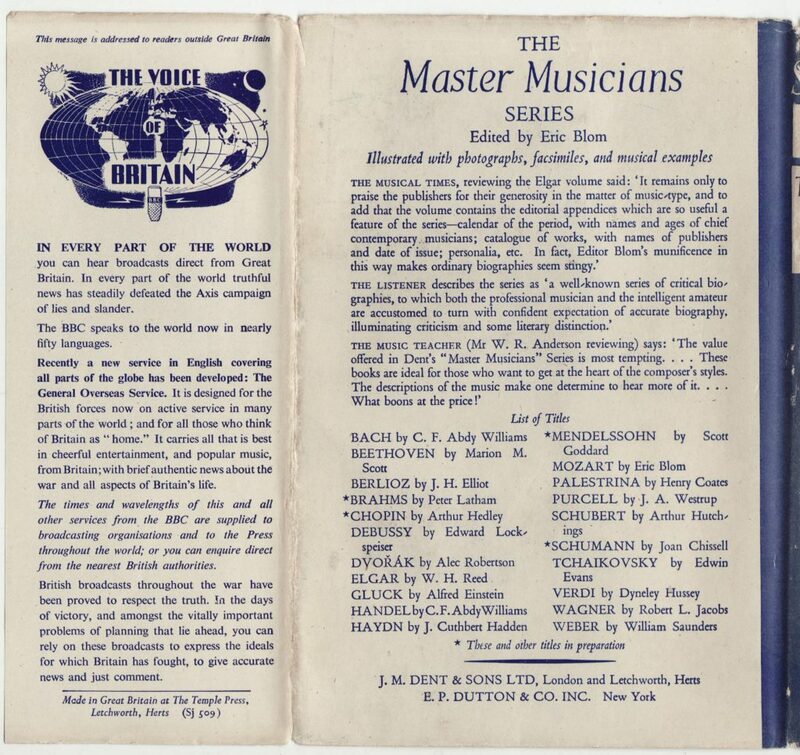 The copyright page includes the date of publication (1945) as well as an indication of the wartime publishing standards for the book.